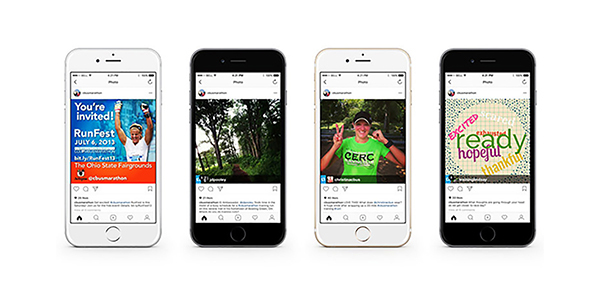 Geben Communication partnered with the Columbus Marathon to launch its Instagram presence. Nearly 700 photos were tagged and shared on Instagram around the 2012 Columbus marathon and the marathon didn’t have its own Instagram account. Geben Communication partnered with the marathon to incorporate Instagram into the 2013 social strategy to show fans and followers race preparation behind the scenes and encourage those training for the race. Using an Instagram Ambassador program, the marathon partnered with online influencers who were running the race and used Instagram to share their training. The ambassadors provided photos highlighting a different theme each week: Where do you run? What are you wearing? How are you feeling? Racers and their supporters were already using Instagram, so the creation of a @cbusmarathon account provided a point of connection. Using influencers added more than 1,000 followers and more than 1,000 photos during the 2013 race season. Read the case study on the Geben Communication website.